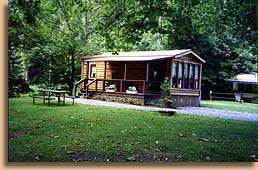 Experience the natural beauty of upstate New York with a campground membership for sale at Thousand Trails Roundout Valley. This all-season campground resort showcases the area’s most picturesque scenery. Whether visiting the area for a quick weekend or a few weeks, you are sure to enjoy every second spent at Thousand Trails Roundout Valley. 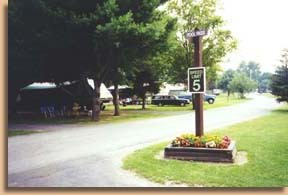 Thousand Trails Roundout Valley offers New York campground memberships for sale with a variety of accommodation options to choose from. Traveling by RV? This campground offers everything you need, from basic to full hookups, and even RV storage. The resort also offers cabin rentals, allowing you and your party to spread out and enjoy private bathrooms, kitchen and dining areas, with units sleeping up to seven guests. The resort also offers pet-friendly accommodations, allowing you bring along your favorite furry friend. 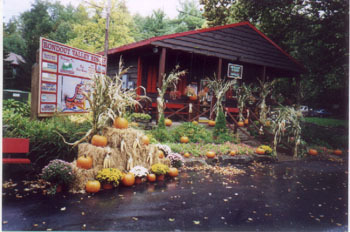 The upstate New York area is a haven of recreation all year round. Get out and breathe in the fresh mountain air while hiking on one of the nearby hiking trails. Bear Mountain is nearby and offers some beautiful four season views. As the weather cools down, be sure to visit the nearby Westwind Orchard, where organic apple picking opportunities are plentiful. When the snow starts to fall, skiing is the only way to spend your days; luckily, there are several downhill skiing opportunities nearby. Thousand Trails Roundout Valley offers loads of amenities for your enjoyment and convenience during your stay. Amenities offered include satellite TV, Wi-Fi access, picnic and barbecue areas, business center, restaurants and on-site general store, restroom and laundry facilities, and fitness center. Looking to have some fun with old friends and new? 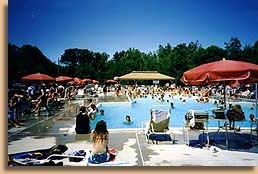 The resort boasts several sports courts, a swimming pool with hot tub, mini golf course, playground, and game room with billiards. Contact Thousand Trails - Rondout Valley Specialist Today!